It’s dairy free and easily made vegan (use maple syrup instead of honey) and also contains a hefty dose of raw cacao, with its numerous health benefits, and 2 helpings of fruit and veg per portion! Guilt free and gorgeous! 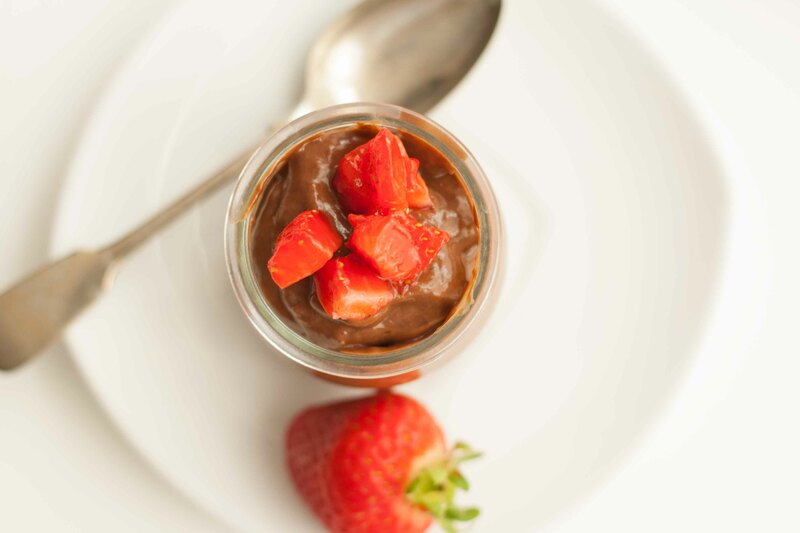 If you’re a little worried about the slight tang of avocado in this dish just serve it up with a few chopped strawberries, they magically eradicate any trace of avocado and leave you with pure chocolate loveliness. If you’re still not sold on the avocado thing why not try Chocolate Chia Seed Pudding instead? Just as chocolatey but avocado free! Whizz all the ingredients together in a food processor or blender and you’re done!! 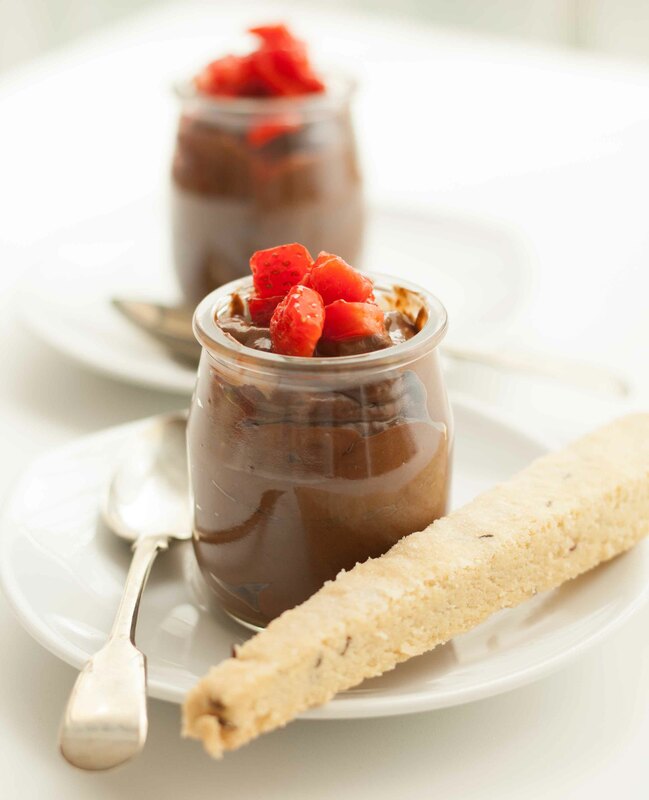 Serve with fresh berries and a cheeky chunk of shortbread on the side. After done must direct eat or can put inside the fridge first..
You can eat it straight away, it’s really quick and easy! This looks delicious! Can’t wait to try it 🙂 I love avocado but never tried it with chocolate!